Sharing your PUBG game play to your Social Media account is quite complicated in Facebook, as you need third party application to live stream your game play. Currently, Facebook don’t have a dedicated live streaming software, but they have a live streaming API where you can use to configure your third party live streaming app. There are third party app in the internet where you can download it for free and use it for live streaming in your Facebook account. First thing you need to do is to get an API Stream Key from Facebook, you can get this at https://www.facebook.com/live/create. In the page, Click the Create Live Stream button and it will show you the Stream Key. You can also choose where you want to post your live stream, you can change it on the Post tab, upper right corner. Don’t forget to copy the newly generated Stream Key when you try changing the settings. You may also go to Settings, to configure some preferences you like. Since you have now the Stream Key, you can now use the following Third Party live app. Free and open source software is a video recording and live streaming app which works on Windows, Mac and Linux. You can download this program at obsproject.com and choose the right OS. Install the program, and open it. Go to File > Settings, then on Stream tab, change Service to Facebook Live and enter the Stream Key you get from Facebook. Click Apply to made the changes. There’s another configuration you have to do to show your screen, first add a Scene on the bottom left corner. Then on Source, click the + button and add Window Capture. This should capture your PUBG gameplay. To start your live stream, just click the Start Streaming button on the bottom right corner of the OBS studio. This is not free and requires a hardware to live stream. This is good if you have separate computer for live streaming, it will also preserve the quality of your game play because it will not use the resources of your main computer. Live streaming on Elgato is lot easier, you just need to click the Live button on the bottom corner, it will asked you to login on your Facebook and the live should be automatically posted on your selected target. Both of these Graphics Cards has a built-in Live streaming app. For NVIDIA, just press ALT+Z and it will open the GeForce Experience Share Overlay, go to settings and click Connect to connect your Facebook Account. Hitting the Broadcast Start button will live your PUBG gameplay. The tools mention above also works on other live streaming platform like Twitch and YouTube. It will also works on other games like Facebook Gameroom not just PUBG. 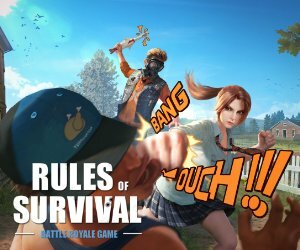 Sharing your PUBG game play to your Social Media account is quite complicated in Facebook, as you need third party application to live stream your game play. Currently, Facebook don't have a dedicated live streaming software, but they have a live streaming API where you can use to configure your third party live streaming app. There are third party app in the internet where you can download it for free and use it for live streaming in your Facebook account. How to Live Stream PUBG in Facebook First thing you need to do is to get an API Stream Key from Facebook, you can get this at https://www.facebook.com/live/create. In the page, Click the Create Live Stream button and it will show you the Stream Key. You can also choose where you want to post your live stream, you can change it on the Post tab, upper right corner. Don't forget to copy the newly generated Stream Key when you try changing the settings. You may also go to Settings, to configure some preferences you like. Since you have now the Stream Key, you can now use the following Third Party live app. OBS Studio (Open Broadcaster Software) Free and open source software is a video recording and live streaming app which works on Windows, Mac and Linux. You can download this program at obsproject.com and choose the right OS. Install the program, and open it. Go to File > Settings, then on Stream tab, change Service to Facebook Live and enter the Stream Key you get from Facebook. Click Apply to made the changes. There's another configuration you have to do to show your screen, first add a Scene on the bottom left corner. Then on Source, click the + button and add Window Capture. This should capture your PUBG gameplay. To start your live stream, just click the Start Streaming button on the bottom right corner of the OBS studio. Elgato Game Capture HD This is not free and requires a hardware to live stream. This is good if you have separate computer for live streaming, it will also preserve the quality of your game play because it will not use the resources of your main computer. Live streaming on Elgato is lot easier, you just need to click the Live button on the bottom corner, it will asked you to login on your Facebook and the live should be automatically posted on your selected target. NVIDIA Geforce Experience and AMD Relive Both of these Graphics Cards has a built-in Live streaming app. For NVIDIA, just press ALT+Z and it will open the GeForce Experience Share Overlay, go to settings and click Connect to connect your Facebook Account. Hitting the Broadcast Start button will live your PUBG gameplay. The tools mention above also works on other live streaming platform like Twitch and YouTube. It will also works on other games like Facebook Gameroom not just PUBG.